I read an article last week about the EPL and their talent preference and my mind has been reeling ever since. Cliff notes version: the article looked at attendance of matches/teams as a function of foreign and domestic (from Great Britan) talent. The theory was that people prefer to watch their countrymen as opposed to foreigners. They then examined the use value of foreign and domestic talent to see which countries were over and underrepresented (ie: to see who teams should hire less and more of). This was analysed based on their contribution to team performance and to revenue. They found that, in fact, the English prefer to watch players from other countries, not their own (attendance increased as foreign talent increased). In the analysis, talent was grouped by geographic area (Eastern Europe, Africa, Asia, Balkans, etc) and the only group that showed a significant positive relationship with attendance was western Europe. On the other hand, the English appear to be biased against players from Soviet Eastern Europe. *This is more of a test of nationalism, not racism since race was not included in the analysis. Additionally, the analysis examined the contribution of foreign talent versus domestic talent and found that foreign talent provides more marginal value to the team, meaning that overall, non-English players are “better” (why do I have a feeling that I’m going to get in trouble for saying that?). South America and the Balkans were found to have the biggest impact on the performance of a team, and yet, they are underrepresented. Players from other Eastern European countries are overrepresented because of their significant negative impact on the game. Based on fan preference and their contribution to team performance, it can be said that players from South America, particularly Brazil, the Balkans and western Europe impact the revenue of club. Interestingly, all the players that contribute to revenue are underrepresented. This could be indicative of them not wanting to relocate to the UK (because, let’s face it, all it does is rain there) but more likely shows that team owners/coaches/whoever is in charge of hiring has a nationalistic preference. Personally, I think because it’s a bit of a hassle. Especially those from outside the EU… you have to deal with visas and housing and relocating and blah blah blah… it’s drama. And no one wants that. The other thing I have an issue with is the omission of star players. 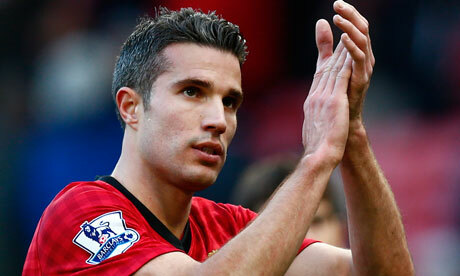 For instance, Robin van Persie (Dutch) – many, many people voted him as player of the year, which shows how popular he is. There’s a good chance that he was a good draw for Man U. This could skew the results in favor of his geographic area, in this case, western Europe). In the mean time, do you think this could apply to Australia? Do you think there are certain nationalities people prefer to watch? Are there certain geographic areas that you think are underrepresented? ← $*!+ Commentators Say, One.